The theme of the day had to do with Monero hard fork and EOS network developments. As we now know, Monero wants its new coin XMC to be ASIC resistant but apparently these miners have been behind it hash rate. It’s evident. Shortly after the fork, its hash rate dropped 80% before recovering hours later. EOS on the other hand is making visible progress with EOS Dawn 3.0 release. 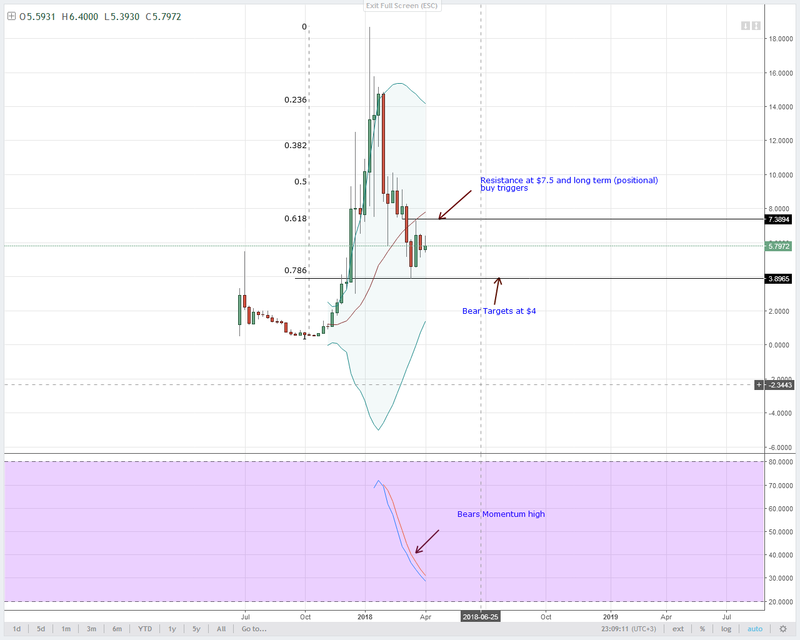 Obviously this is encouraging for coin supporters but in the short term, EOS is not finding support price wise. 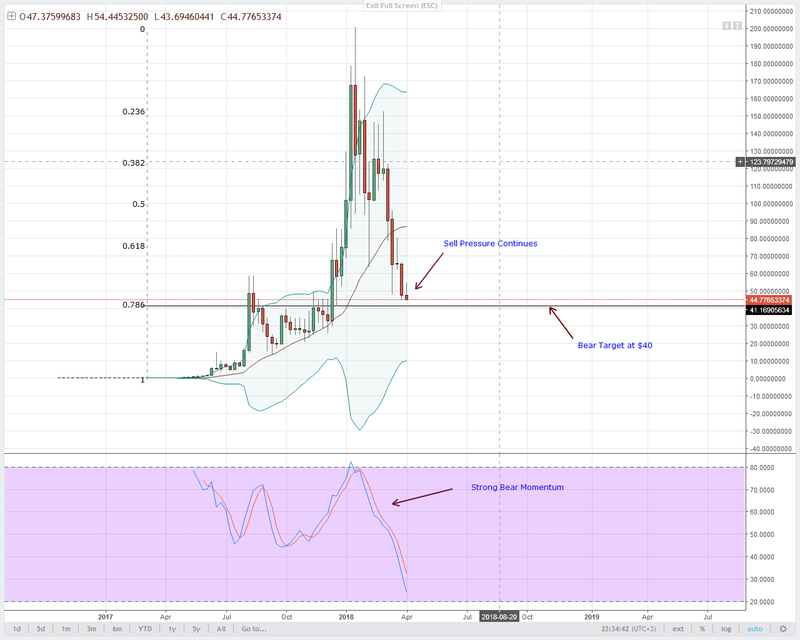 Despite Abra listing Stellar Lumens and potentially exposing this digital asset to potential investors, prices remains relatively calm and down. Fact is, from yesterday’s dip, data from CoinMarketCap shows that there is exposure of Lumens to market forces and is actually down 1% in the last 24 hours. From a technical perspective and considering all these confluences, odds of further erosion in the next couple of days remains high. Since price action is relatively calm, there are no major changes as far as support-resistance levels are concerned therefore $0.15 is still our immediate bear target. Of course, if there are rapid losses below week ending March 18, then our next target is $0.07. Obviously, $0.07 is influential because it kept prices from appreciating for the better part of 2017. More problems for Monero it seems. Who would have thought about this? 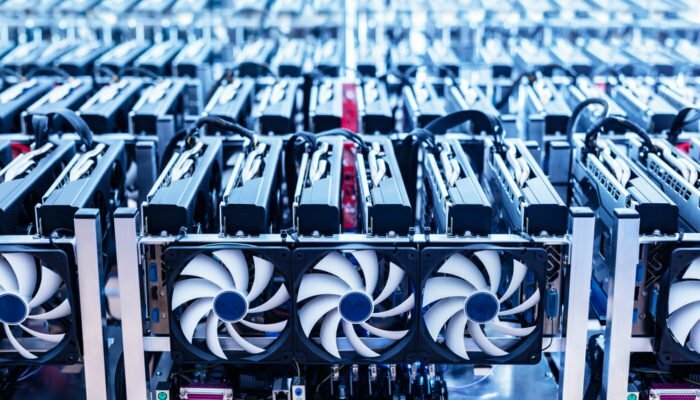 Apparently, the drastic drop in hash rate from 51MH/s to 17MH/s could be directly attributed to ASIC related mining. Even though it is recovering, it leaves the new Monero Classic vulnerable. The thing is, will Monero classic weather this criticism as they forge their own path? Well, this is Monero’s 7th hard fork so it is surely resilient but with them fighting against effects of Bitmain’s centralization there would be consequences. Fortunately, it means money for GPU/CPU miners. For now, let’s see what influencers have to say about Monero. Already Charlie Lee considers XMC a scam but would this “scam” get the support from main exchanges? Only time will tell. Technically, Monero prices are down 5% but still perched at the top 10 spot meaning despite the slack and uncertainty around it, Monero is still liquid. With liquidity, most are cashing out which in turn is driving prices down towards our ultimate targets of $110. Why not? Bear momentum is high. Besides, after last week’s break below 61.8% Fibonacci retracement level, sellers and our Monero technical forecast points to a bear break out trade. It is but a mere confirmation if this week’s price action is anything to go by. Good news yes, for long term EOS holders but at the moment, it’s a deflation for holders thirsty and yearning for volatility. EOSIO Dawn 3.0 is a milestone for EOS development and since it is something that is part of Block.One road map, this release should be a positive. Indeed it is because with this, it is slowly becoming a slow journey towards new governance and logic implementation without hard forks. Anyhow, as we wait for the main EOS launch in June, we should bear the decline despite the initial spike-a reaction as usual testing $6.1 shortly after the announcement. From the chart, sell pressure persists. If we borrow some tips from our previous EOS technical analysis then we notice that while there was this initial psyche yesterday, sellers remain in charge. Data shows that prices are down 3.5% in the last 24 hours and if there is a breach of last week’s lows at $5, expect further depreciation towards $4. Conversely, EOS buyers should look to recoup some of their losses if prices surge and close past $6 over the weekend. Aliant Partnership, lightning Network and Charlie Lee tweets later, Litecoin is still sliding, crushing Litecoin holders in the process. We cannot turn a blind eye on the development front. Of course, as the number of Litecoin LN nodes continues to pick up, prices may find support in the short term. 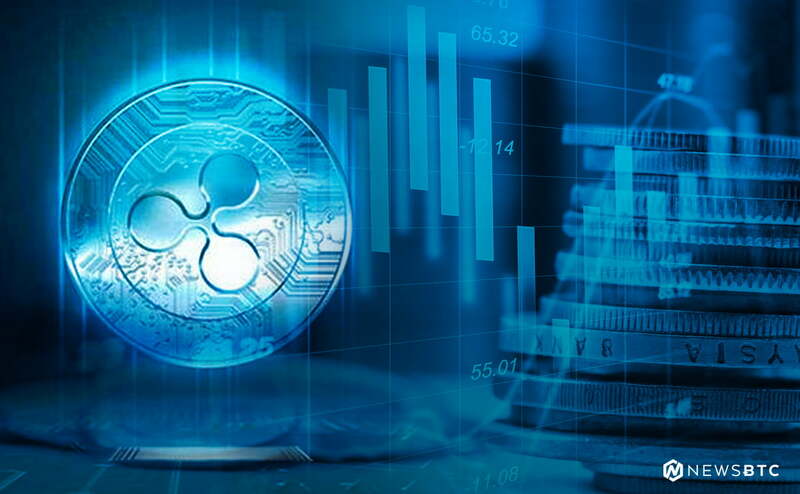 Considering current prices, sellers are firmly in charge and we can see that long upper wick as the week comes to an end indicating strong sell pressure. 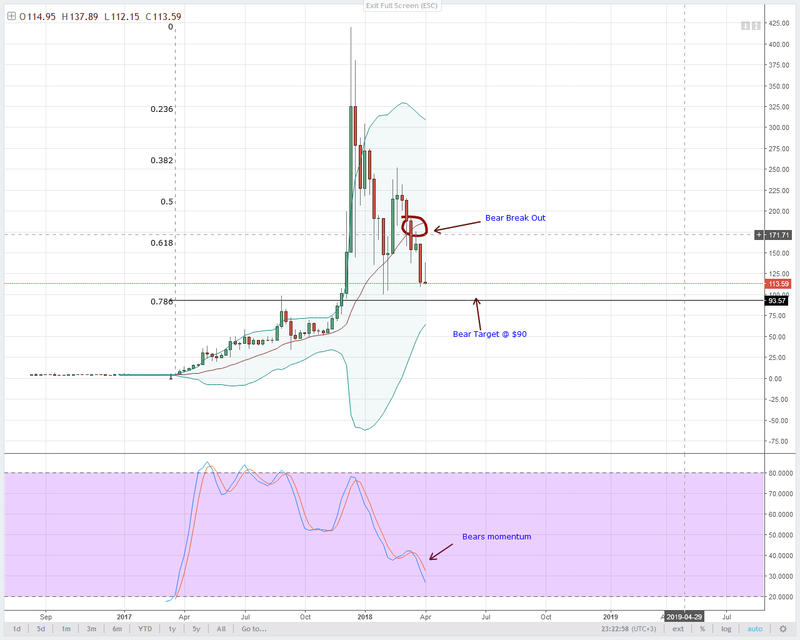 Basing our skew on our previous Litecoin Technical analysis preview, sellers should remain steady and aim for $90. Whether NEO will become a dominant platform or not is depend on if ICOs find value doing business using their infrastructure. All we know is that Ontology shall work with four other VCs in what is dubbed the “Co-Builder Plan” in a bid to promote, govern and serve blockchain and its ecosystem better. Additionally, there are four more projects in the pipeline that we can interpret as positive for NEO. A few projects build on $NEO, found by @seaside_crypto. Nice find 🤞. In contrast though, prices are dipping in line with our previous forecast. Remember, $40 is our main support line. 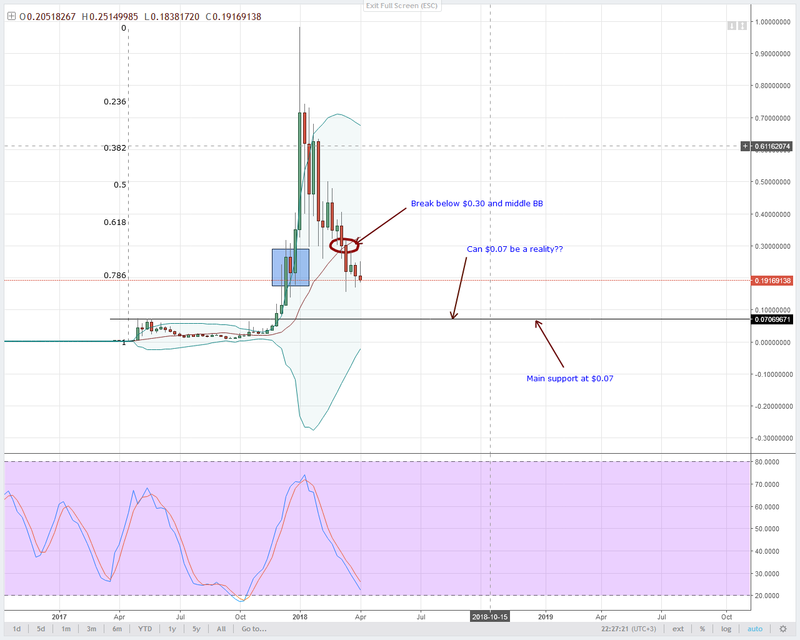 Consequently, if there is a bear break out, $25 would be a likely destination representing an 90% value erosion in NEO.